If I’ve learned anything at all these past few months, it’s that God undoubtedly has a plan for each one of us. And the timing for that plan is important. 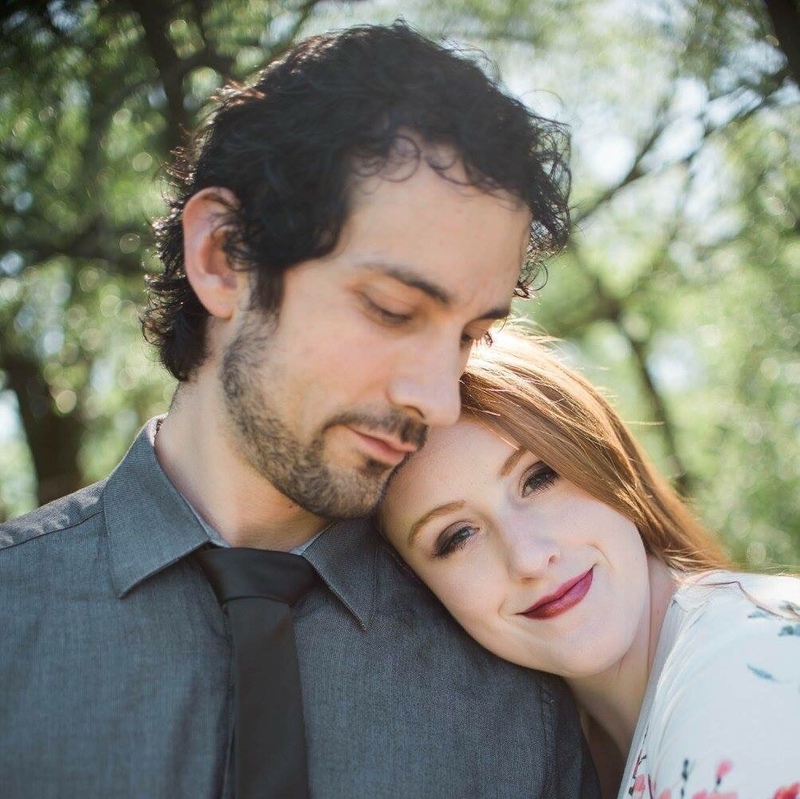 This is the story of how me and my fiance, Cristian, fell in love again after being apart for five years. And let me tell you, it was a long journey — but so worth it. 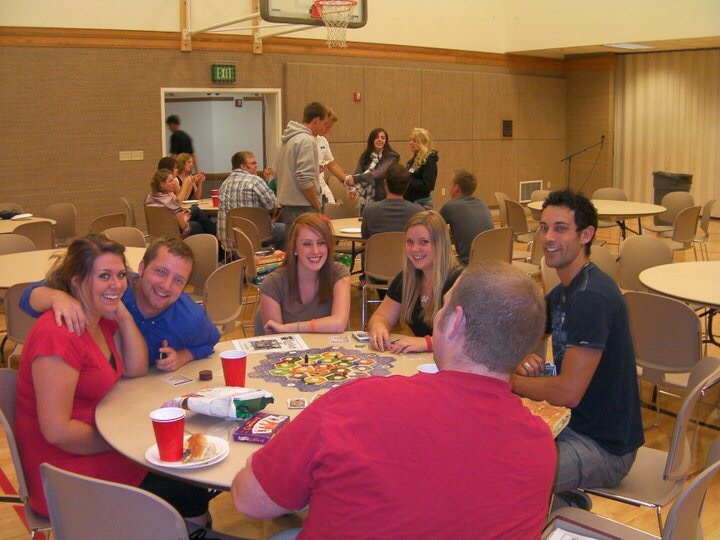 We met six years ago at BYU-Idaho. We ended up in the same ward, but there were no ties between us initially. Cristian had a dance class with one of Sonja’s roommates, and those two become instant friends. We met when Cristian came by her apartment one day and started talking. He was also a teacher in Sunday school and Sonja was usually in that class. There was an instant connection on the spiritual level. It wasn’t long after that that Cristian went on a sabbatical from school and landed in Washington for a year. Only a few months after moving, he discovered that Sonja was home from school only three hours south of his place just outside Seattle. Being drawn to her, he made several visits down to see her. CRISTIAN: We fell for one another. But this was a chapter of my life full of uncertainty and unbalance. I didn’t know what I wanted, but I made a rash decision to withdraw from the relationship and Sonja’s life. This was the worst decision I ever made. SONJA: I had priesthood blessings and impressions that lead me to feel like a future with Cristian was a sure thing, and being 19 years old, I was so confused as to why he would leave. Were my impressions wrong? It didn’t make any sense to me that he could leave when I felt so sure that he was supposed to be my future. CRISTIAN: I pursued another life with someone else, and was married 19 months later. It was a forever good-bye to the prospect of us being together. However, life does what it does best and changes everything. My wife presented me with divorce papers, and I was left to my own once again. Realizing loss and hurt, I came to regret being the injurer in so many relationships in the past. One in particular. SONJA: It really was a forever good-bye once he got married. Sure, things didn’t end well with us at all, but I loved him. And was afraid I always would. So, when he got married, I knew that was the end. So I had to try my hardest to forget about him. And it wasn’t easy. CRISTIAN: Shortly after the divorce, I went to travel to see old friends I hadn’t seen in forever. Among the friends I visited was Lisa Milne, Sonja’s old roommate I befriended years ago. I remember sitting at Lisa’s table and telling her that I actually just signed the paperwork for divorce. Once she could tell that I was in a healthy and happy place, she made it a point to tell me, “You know Sonja is still single…” And from the moment she mentioned Sonja’s name something went unsettled within me. Her name burned in my heart. I don’t know why it bothered me so much. It was like a hook catching me inside my chest and I couldn’t shake it. I remember being so frustrated because I couldn’t figure out why her name hit me the way it did. I responded to Lisa by telling her that if I ever thought for a moment that there was even the slightest chance… It was just one of those things where the way that I had left her was so hard. And how would that look anyway?? “So, I’m single again. Want to start talking?” I expressed that I didn’t think there would be any way. She responded, “Well, based off the last conversation that she and I ever had about you, I think she deserves to know that you are in a happier and better place spiritually and emotionally.” And that just would not leave me. And so for weeks Sonja’s name just kept ringing in my ears. Within 2 weeks of my visit Sonja went to Lisa’s house to celebrate a birthday party. I ‘liked’ one of the photos they took and tagged on Facebook. Within a week I got a notification on my LinkedIn page. When I pulled up the screen to find out who visited my profile Sonja came up. I was shocked. She knew that I had like that photo, because Facebook tells you. I also knew for a fact that Sonja would be well aware that by looking at my profile on LinkedIn I would get a notification of her visit. So now we both knew that each was on the others mind. I had no idea what to do from there. But I knew I would have to do something soon. SONJA: I will never forget the day of Lisa’s daughter’s birthday party. There I sat with Lisa on her living room couch, with children playing and watching a kid’s movie. She decided THAT was a good time to tell me. She then told me about the divorce. I didn’t know how to take it. She also told me he had told her that I was perfect, and the one he let get away. I cried on my 45 minute drive home. I was so mad at him! If he had realized that 5 years ago we could have had a life together by now! But, the Atonement of Jesus Christ is very real and forgiveness is a wonderful thing. While I was driving home one evening after picking up some groceries I was saying a silent prayer about when exactly I should write the letter. I know I should do it soon, but how soon? As I was thinking these thoughts-in real time-driving on the highway towards my home, a car pulled out of the left lanes directly in front of me. There was no traffic but it seemed to move deliberately into my path. Of course, this vehicle had my attention. Then the license plate caught my eye and I instantly lost my breath. “Sonja.” On the license plate! Spelled exactly the same as her name, which is very uncommon. I about had a mini heart attack. At that moment in time I truly understood that this was not something of coincidence. These were deliberate directions. I got home, unloaded my groceries, and went downstairs to write the letter. At 3 a.m., with a 3-page letter on my desk and a dozen rough draft cuts laying half crumpled on the floor, I finally went to bed. I didn’t send the letter until Tuesday. I knew that she worked for the Standard-Examiner because it was on her LinkedIn. So I simply mailed the letter to the main office. Friday morning she got the letter. SONJA: He had a mini heart attack when he saw that license plate, and I had one when I saw that letter sitting on my desk. CRISTIAN: Monday morning I got to the office. I pulled my phone out of my pocket and set it on the desk only to notice that I had a Facebook Messenger notification. 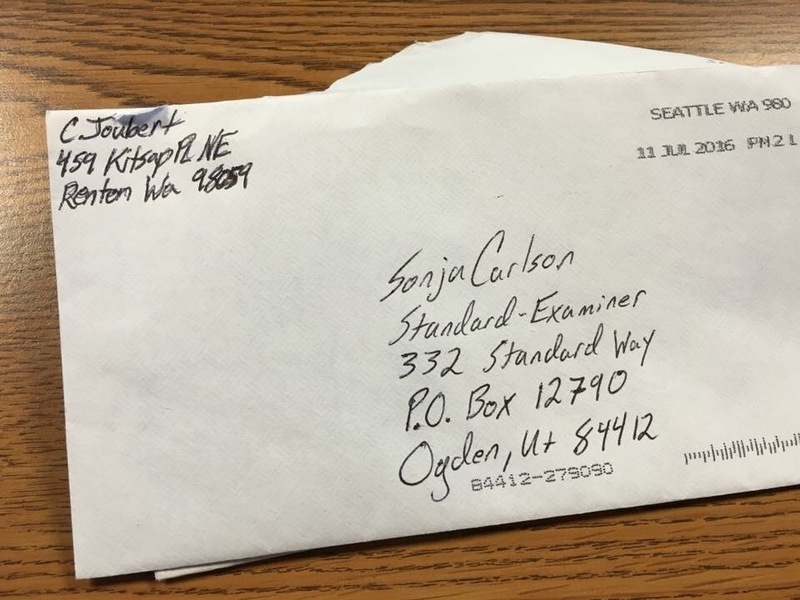 When I pulled it up my heart skipped when I saw Sonja’s face next to a message that said, “Hey Crishy, I got your letter…I would like to call you. You can say no if you want to. Love, Sonja.” Let me just say that my internal response was that even if I had lions ripping the legs off my body I would take that phone call. I would not miss it. It was later that evening around 6 o’clock that I got her call. After that was a string of text messages. Eventually those texts and Facebook messages turned into phone calls and conversations. During one of our conversations I told her that I was really anxious to see if we can build something between us again. And I was willing to put in the weeks and months it may take. One day while visiting the temple I prayed about the situation. I was making plans in my heart and head to take my time to make sure that I got this right. But for some reason that just did not feel right. I felt like this was a bad decision. The thought came to my mind, What are you waiting for? Why prolong this? I naturally thought back, because it’s the proper thing to do and it would be foolish to rush in. But the more I resisted the worse I felt. So I left the temple with a bothersome feeling that I shouldn’t wait. But I still resisted it. The next day I went to visit my marriage therapist that I had been working with for some months to return a DVD that she loaned me. I handed it to her and as I was making my way out the door she stopped me. She said, “I was thinking about it last night and I want to ask you, what are you waiting for?” At that moment I was stunned. My heart seized up. What the heck is going on? Who else is in on this? I told her that I felt like things were worth the time you put in them and I wanted to put a lot of time into this. She again asked me, “What are you waiting for?” I realized that she didn’t accept my answer. She asked me, “Are you not over your ex wife?” “No, you know I am.” “Are you not worthy?” “No, I’m worthy.” She repeated, “Then what are you waiting for? Is 6 years not enough? Do you really feel that after all these signs and all the miracles that have somehow brought you two back into one another’s lives you should wait on this any longer?” I was caught with guile and I could deny it no more. Sonja and I were supposed to be together and we needed to move without any hesitation. SONJA: And I knew I was going to marry him as soon as I finished reading that letter. CRISTIAN: So, I made a decision to drive the 12 hours from Seattle to Layton, Utah that Friday night. I met her on the grounds of the Ogden temple on August 6th, where, for the first time in 5 years, we’re back in each other’s arms. There we also shared a second First kiss, and I’m pretty sure that somewhere in the galaxy we caused a meteor shower. SONJA: After all that time, he was still the one for me. It was so obvious. Every guy that I’d dated since him couldn’t compare even in the slightest, and I’d had a few pretty terrible dating experiences since. So when he came back into my life, it made so much sense. Those 6 years of frustration, loneliness and growth were so necessary. He had been the right person all along — it just hadn’t been the right time. CRISTIAN: Miracles have lined up for us ever since. Somehow within weeks of deciding that we would be married in the Portland Temple my company reassigned me to the city of Portland. Both of our families have shown enormous support and although it’s incredibly fast, things are just undeniably the way they’re supposed to be. I was always meant to be with her. And she was made for me. P.S. The very last time we saw each other before our relationship ended was when I dropped him off at Portland’s Union Station in August 2011 so he could catch a train back to Washington. It was not a good experience for either of us. So, Cristian wanted to take me back there to make some better memories. We thought that taking some engagements there would do the trick. We even took some at the same exact bench he was sitting on when I said goodbye to him. I can’t wait to be with this man for eternity. 12 more days! Our photos were taken by the superstar Stephanie Jarstad. Check her out!